I love baking completely from scratch, but I also enjoy taking ready-made mixes and experimenting with them. When it comes to instant cake mixes and anything one needs for convenient baking, Germany is tops. Every supermarket has a complete stock of a multitude of mixes, single-use flavorings , and even instant cake decor. Tweaking a simple and cheap cake mix to create something extra special is an easy way to impress your friends or guests without worrying about never having tried a new recipe. 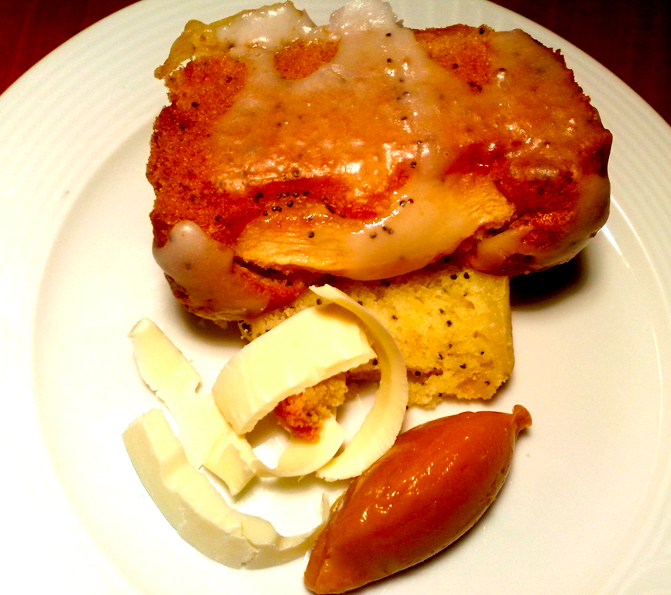 For this food experiment, I wanted to get rid of an old box of instant lemon cake mix. 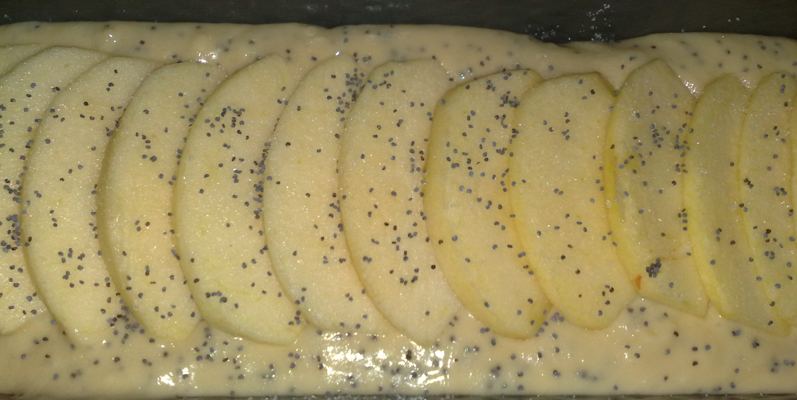 Since I still had a pack of poppyseeds and apples that were about to go bad, I thought of putting them all together. Bake the cake according to the instructions on the box. caramelize (Watch the sugar melt and turn yellow, while swirling the pan around. Do NOT mix with a spoon. Note that the darker the liquid turns, the more bitter/intense the caramel gets. 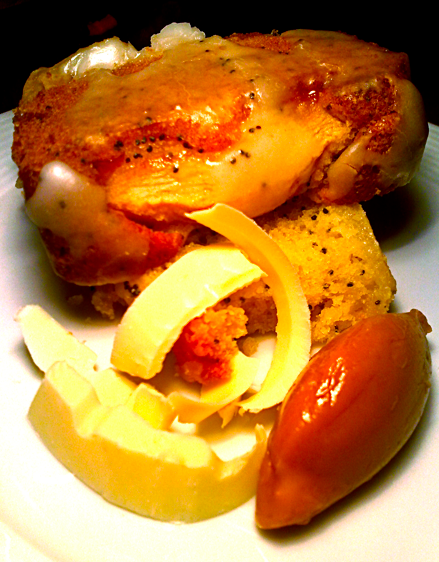 Poppy seeds go well with sour cakes/loaves which is why I thought of adding them to the mix. 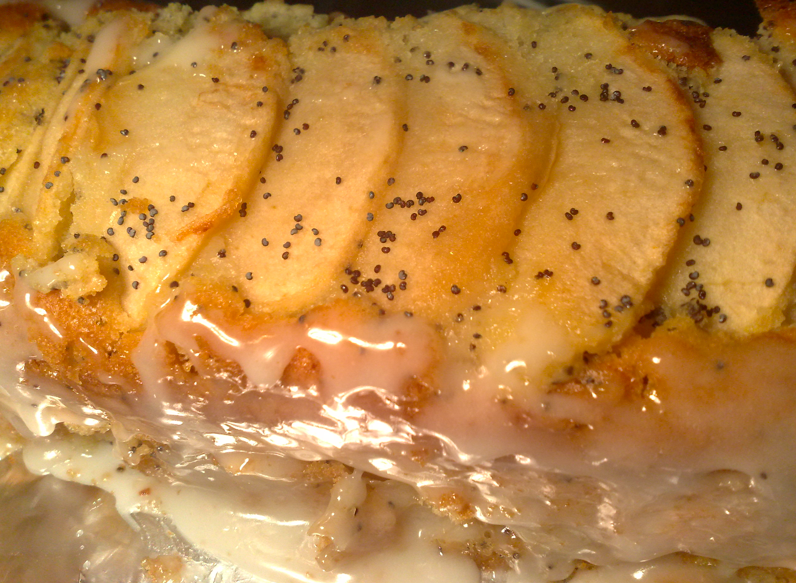 Since the lemon cake is already sour and the apples will be rather tart, the cake is suggested to be served with the caramel. In lieu of the caramel, one can also use butterscotch. The recipe is the same as above, but one must add about 100mL of cream instead of condensed milk. This butterscotch can then be drizzled on top of the cake.